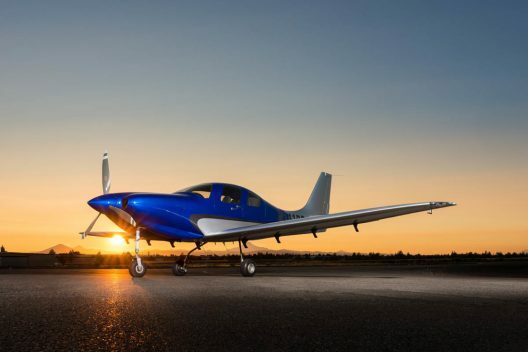 Kyle Clark heads Beta Technologies, an aircraft company flying under the radar until recently. Beta’s prototype, based on an RDD LX7, uses eight electric motors driving one fixed-pitch propeller each. These are mounted on rotating tubular arms that allow vertical takeoffs and landings with the propellers in horizontal orientation and a claimed 170 mph cruise when in vertical orientation. Wired, in a snarky mode, describes the Beta Ava as looking, “like what Tony Stark would build if he had an Edward Scissorhands phase.” Despite the spindly nature of the landing gear and the multiple flailing blades, Ava is capable of flight on a blizzardy day with lake-effects snow blowing in its wake. Sponsored in part by Lung Biotechnology, Beta’s program will lead to delivery of human lungs from hospital to hospital on inter-city routes. 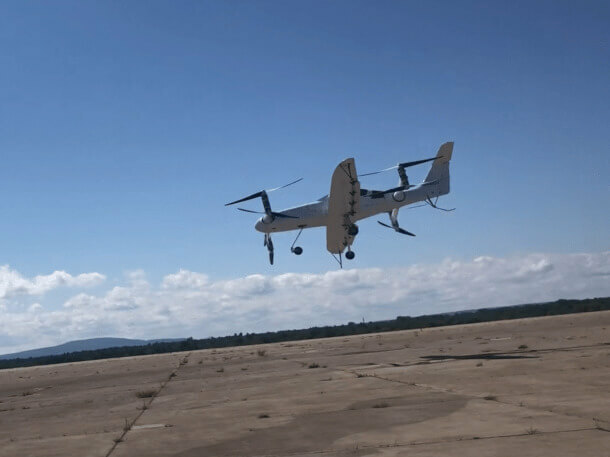 The same program with OC Helicopters and Tier One Engineering resulted in a demonstration that covered 30 miles at 80 mph and an altitude of 800 feet. The team won a Guinness World Record for the feat. 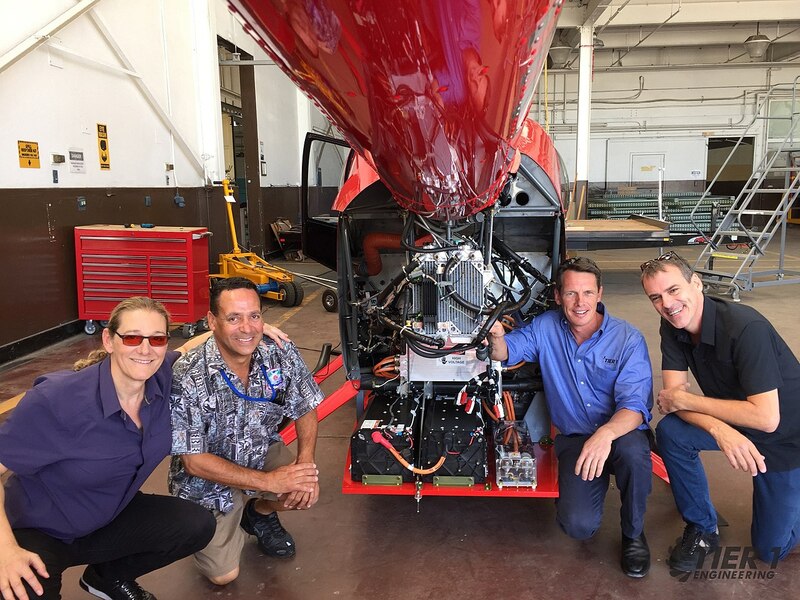 Martine Rothblatt, head of the biotech firm, flew the mission with Ric Webb, founder of OC Helicopters in Orange County California. That was on a nice, sunny day typical of SoCal. Ava’s ability to maintain a stable run down a snowy runway presages longer flights in adverse weather – a significant capability for medical deliveries. Ava’s 4,000 pound gross weight will allow medical personnel to accompany their precious cargo. Martine Rothblatt’s endorsement of these machines gives a certain gravitas to both endeavors. Ava’s eight 143 kilowatt motors are arranged in four pairs, with an upper and lower motor and rotor combination. Propellers counter-rotate, presumably to eliminate torque effects at each corner of the aircraft. Top and bottom motors are separated by a controller pair in a well-ventilated housing. Two battery packs totaling 124 kilowatt-hours power the upper and lower motors. Failure of any component in either layer will be compensated for to enable continued stable flight. 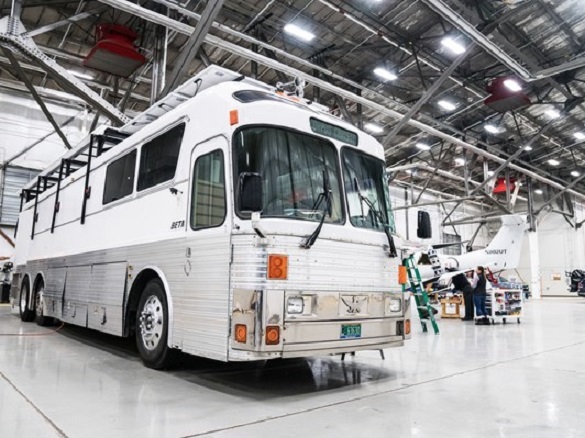 Beta’s Ava has over 170 flights so far, and the company plans a trip from Kitty Hawk, North Carolina to Santa Monica, California sometime this spring or summer according to Wired. Flying over Plattsburgh’s two-mile long runway, Ava has managed 100-foot altitudes and a top speed so far of 72 mph. The airplane have achieved 18 minutes in a hover and an hour while tethered. With a growing number of flight hours and solid backing from the woman who gave us Sirius XM satellite radio, Ava is off to a good start. The next version will be bigger, more powerful, faster and have greater range. It will compete with Bell, Joby, and several of the over 130 eVTOLs under development. Exciting times lie ahead.